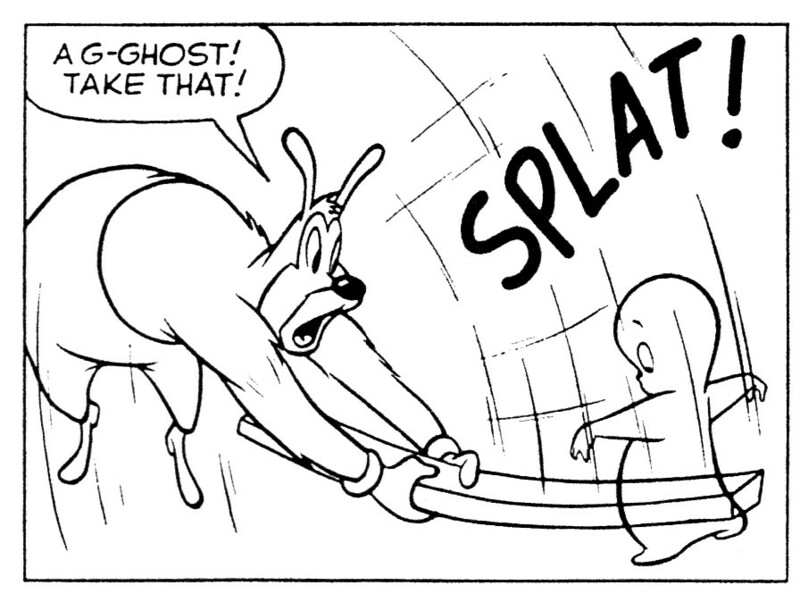 What I find funny here is that Casper actually looks like he kind of expects something to happen to him here, by the look on his face and the way he's got his arms spread-eagled. He knows that he can't be whacked with a board, right? Yeah. I love the way he's looking down at himself and the board like, "Huh. Look at that." Who wants a free copy of Sailor Twain?